In the 1970's, we sent them to the outer planets thinking that they might last for five years. But forty years later two little machines called Voyager with hearts of gold are still going strong. 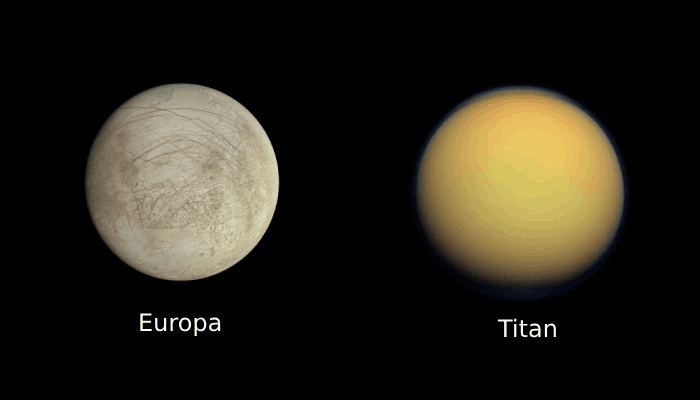 Now more than ten billion miles away, they're now waving a long goodbye to our solar system, a solar system that we hardly knew of before their fantastic journeys. Facing harsh radiations, crazy temperatures, hails of particles and whiplash speeds they faced a mission ending catastrophes, failed and then were reborn, thanks to the ingenuity of their human parents, the stunning payoff close encounters with our giant outer planets and their moons completely unknown world with massive volcanoes, some of lava, some of ice, internal seas and lakes of methane places where life might actually take hold. And now they are creatures of deep space. 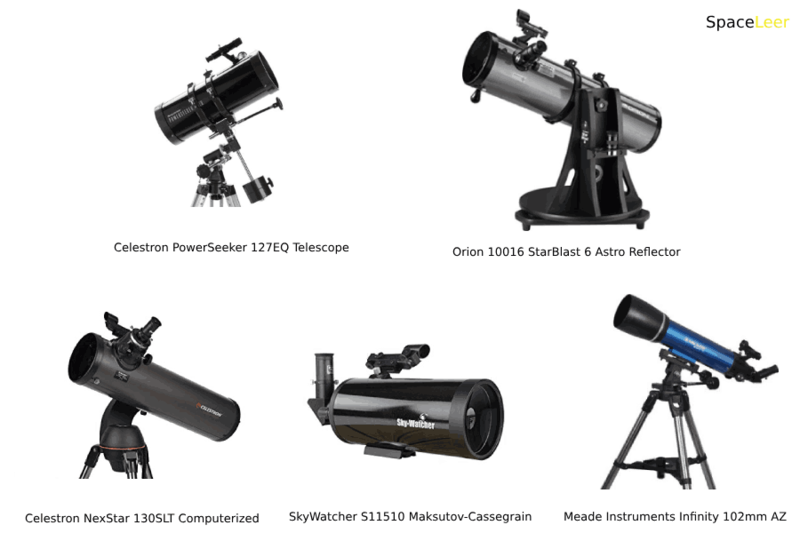 These Voyagers will be our silent Ambassadors to the Milky Way Galaxy and they are still phoning home with new answers to our Cosmic Questions. These are the stories of a lonely Blue Marble sending its intrepid little machines to places that no human can yet manage to go and to the far ends of the Solar System and even beyond. In the year 1964 as the world was riveted by the race to the moon, a graduate student named Gary Flandro noticed something that would ultimately take us far beyond the moon. The Planets of the outer solar system were spinning towards a rare alignment that would make it possible in theory to hurl something off the earth and have it slingshot all the outer planets of the solar system. Best of all, the craft could now be sent close enough to each planet to get whipped by gravity to higher and higher speeds using no fuel at all. This was called The Grand Tour and this wouldn't take place for quite a while. This Grand Tour was an opportunity that happens once in every 176 years when Jupiter, Saturn, Uranus and Neptune were all lined up so that a spacecraft could fly by all in its whole journey and it was a chance that NASA could not just pass up as the grand tour in itself was a very ambitious journey with four spacecrafts flying by all the outer planets but it was very expensive for everything that was trying to be by NASA at that point of time so they scaled it back to just a four year mission to only Jupiter and Saturn. Unofficially, they still didn't give up on the idea of a full Grant Tour to Uranus and Neptune as well. They just kept their heads down and tried to engineer the living daylights out of the Voyagers just in case. 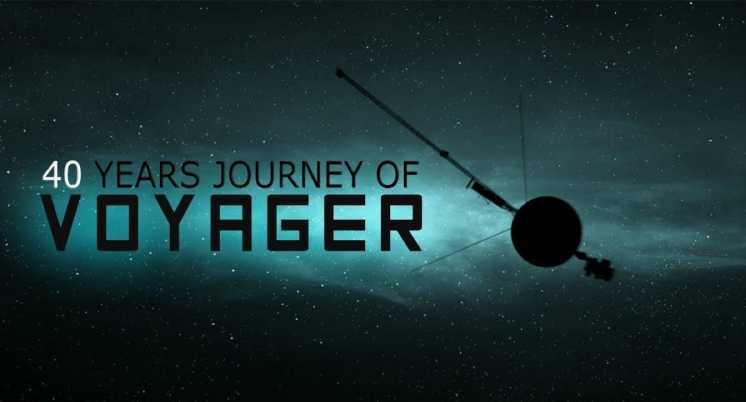 Voyagers 1 and 2 are identical spacecraft that are made up of 65,00 separate parts and each of them is equipped with instruments to conduct 10 different experiments that include Television Cameras, Infrared and UV sensors, Magnetometers and particle sensors. Each could radio information directly to the earth or record the data for sending later on an 8-Track tape. So, a few weeks apart, in the year 1977, Titan Centaur Rockets prepared to tear away from Cape Canaveral with their little charges award. 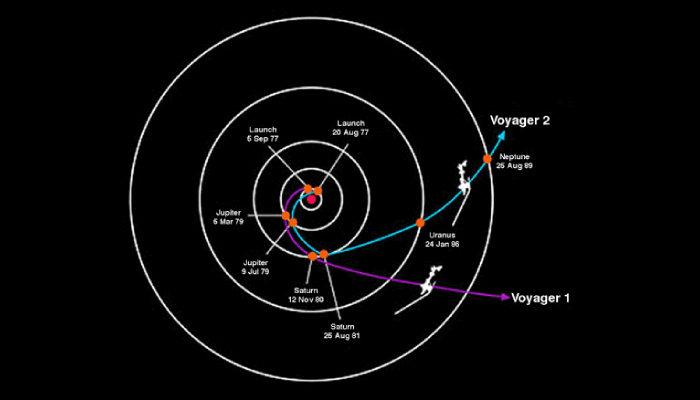 Voyager 2 was the one to leave the first but Voyager 1 was sent on a more direct route that meant that it would reach the outer planets ahead of its twin. This must watch video, brings forward The twin Voyager 1 and 2 spacecraft are exploring where nothing from Earth has flown before. Still managing to Continue on their more-than-39-year journey since their launches in the year 1977, the Voyagers are much farther away from Earth and the sun when we look at Pluto. In August 2012, Voyager 1 made its historic entry into the region between stars and that is filled with material ejected by the death of nearby stars millions of years ago: The interstellar space. Scientists hope that when Voyager 2, in the “heliosheath" also reaches interstellar space they will get to learn more about this region. Both spacecraft with the help of the Deep Space Network or DSN are still managing to send in scientific information about their surroundings. Active volcanoes on Jupiter's moon Io. 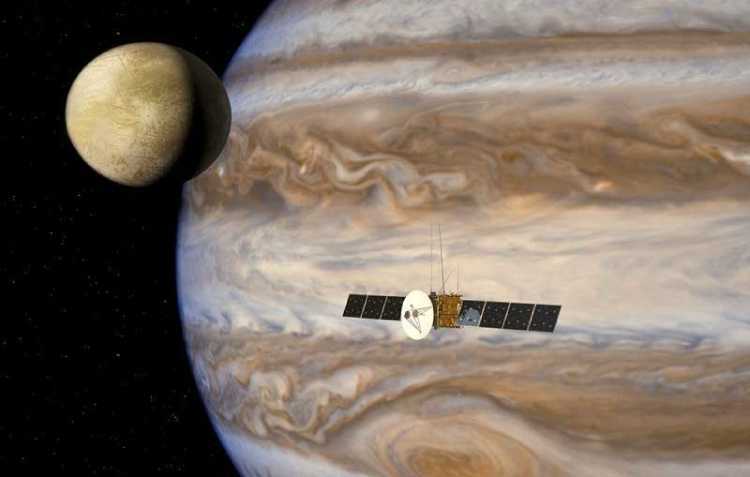 Voyager 2 that is still the only spacecraft to have visited the outer planets went on to explore Uranus and Neptune. 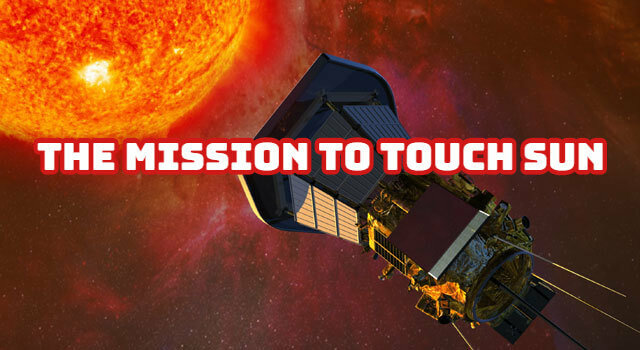 The adventurers' current mission will aim at the exploration of the outermost edge of the Sun's domain. And beyond: The Voyager Interstellar Mission (VIM).